The Himalayan Chimmey in Champaign on April 23. Live cockroaches crawling out of the blade of the vegetable slicer. Unlabeled chemicals being stored next to drink lids. Employees not washing their hands between cleaning dishes and preparing food. And flies infesting a restaurant’s meat and sushi departments. These were among the worst violations that led more than a dozen food establishments in Champaign County to fail health inspections over a six month periods. Changes are coming to restaurant inspections. Read more here. A food establishment fails if it receives an adjusted score of 35 or less on a 100-point scale. It is possible for a restaurant to receive a score of less than zero. Scores are adjusted for repeat and critical violations. A restaurant is automatically closed if its adjusted score falls below zero or if it has critical violations that pose an immediate health threat to public safety. Restaurants can also be closed if they do not pay their annual permit fee. Establishments can stay open with scores between zero and 35, but they must be re-inspected within 30 days. 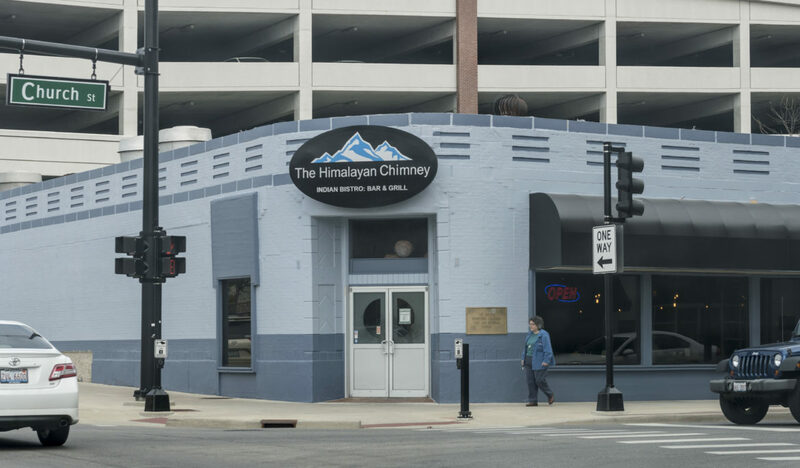 Himalayan Chimney in downtown Champaign was among eight of the restaurants that were temporarily closed. In March, Himalayan Chimney was closed for four days after it failed its routine health inspection on March 19 with an adjusted score of -6 and 10 critical violations. The violations included dishes being washed without a cleaning solution, food, including raw meat, being stored at improper temperatures, employees not washing their hands, a hand sink being blocked and chemicals being improperly stored. The restaurant passed its reinspection on March 23 with an adjusted score of 88 and was allowed to reopen. The South China Restaurant in Champaign on April 23. 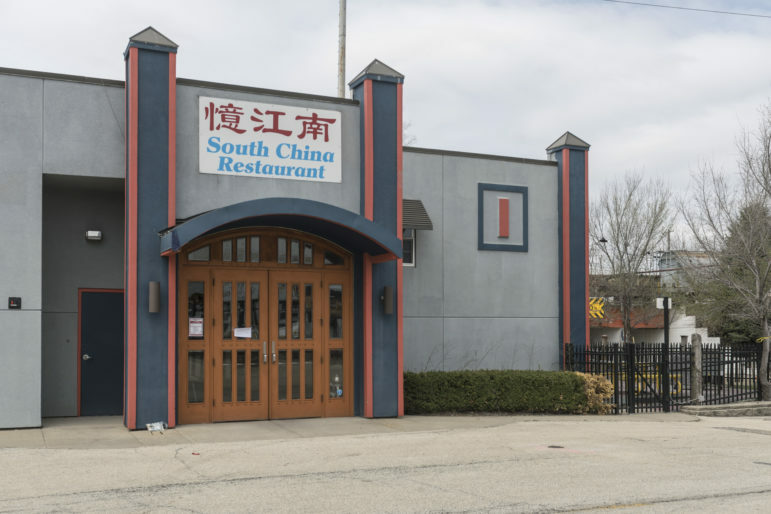 The South China restaurant at 25 East Springfield Avenue in Champaign failed two separate inspections in October and March. The restaurant failed its routine inspection on October 5 with an adjusted score of 31 and four critical violations. The violations included sauces being stored at too high of temperatures, too high of chlorine concentration in wiping cloths, a food sanitation manager not being present in the facility and fried chicken being improperly stored. The restaurant passed its re-inspection on October 16 with an adjusted score of 79 and one critical violation. However, the restaurant again failed its routine inspection on March 22 with an adjusted score of 16 and seven critical violations. The violations included an employee not washing their hands between tasks, food being stored at improper temperatures, chlorine concentration being too high, open cans of sterno-type fuel being stored next to food and silverware and mold in an open package of shredded mozzarella. As of April 23, the restaurant was closed because of “uncontrolled food borne illness risk factors” and “unsatisfactory compliance with local ordinance,” according to a placard on the restaurant’s door. The health department shut down the restaurant after it failed its routine inspection on October 4 with an adjusted score of 6 and eight critical violations, including “uncontrolled risk factor violations.” The violations included an employee eating food in the kitchen, employees not washing their hands between cleaning dishes and preparing food, food being stored at improper temperatures and food not being marked for seven-day use. The restaurant passed its re-inspection on October 6 with an adjusted score of 90 and zero critical violations and was allowed to re-open. The health department suspended the food service permit for the establishment on October 12 after it was found three times that the establishment was serving an unapproved menu item using unapproved equipment. Artbox is now in line for a plan review on its permit after a change in its ownership, Roberts said. Health inspectors temporarily closed the establishment after it failed its routine inspection on October 26 with an adjusted score of -12 and 13 critical violations. The violations included flies throughout the meat and sushi department, employees changing tasks without washing their hands, an employee washing his hands without any sort of detergent, hand sinks being blocked and not working properly and raw meat being held at too high a temperature. The market passed its re-inspection on November 2 with an adjusted score of 81 and one critical violation and was reopened. The health department closed the establishment because it was operating without a health permit and city food license. According to a letter sent to the restaurant, the department learned of the operation because of a news article, and the establishment never submitted appropriate documentation for permits. While not having a license, the business was still able to sell and deliver prepacked food or drink items like “soda, chips, candy bars, cookies, etc.,” the letter said. On February 27, Gobrands moved to 105 E. University Avenue in Urbana and was issued a permit. The health department closed the restaurant after it failed its routine inspection on March 19 with an adjusted score of -6 and 10 critical violations. The violations included dishes being washed without a cleaning solution, food, including raw meat, being stored at improper temperatures, employees not washing their hands, a hand sink being blocked and chemicals being improperly stored. The restaurant was reopened after passing its reinspection on March 23 with an adjusted score of 88. The health department closed the restaurant after it failed its re-inspection on October 2 with an adjusted score of 25 and six critical violations. The violations included employee food and drinks being stored about food preparation areas, an employee purse being stored in the hand sink in the dish area, a large bowl of fish on the prep table at 52 degrees with no one working on it, a condemned dishwasher and no food service sanitation managers working. The restaurant had originally failed an inspection on September 13 with an adjusted score of 31. A health inspector visited the facility on October 4 and discovered that the restaurant had removed its red placard, signaling that the facility was closed. The restaurant was told to repost the placard. The restaurant was allowed to re-open on October 5 after passing a re-inspection with an adjusted score of 100. The restaurant was closed at 11:20 a.m. on March 16 after an inspector discovered that sewage back-up was discharging onto the kitchen floor when the dish machine or sink was used. The restaurant was allowed to re-open at 1:15 p.m. on March 16 after the issue was repaired. The restaurant passed its inspection with a score of 71 prior to the issue being discovered. The health department closed the restaurant after it failed its routine inspection on October 17 with an adjusted score of -3 and nine critical violations. The violations included the dish washer not having chlorine, no food certified managers present, the back door being propped open with the air curtain off, hot water not being available in the men’s restroom, employee beverages being stored on cutting boards and food being stored at improper temperatures. The restaurant was allowed to re-open on October 23 after passing a re-inspection with an adjusted score of 100. The restaurant was closed by the health department after it failed its routine inspection on October 24 with an adjusted score of -12 and eight critical violations. The violations included employees switching tasks while wearing the same gloves, tongs not being provided to each individual container of food, the men’s restroom lacking hot water, the back door not being self-closing and hand sinks being blocked. The restaurant passed its re-inspection on October 26 with an adjusted score of 75 and one critical violation. The restaurant was allowed to re-open. The grocery store failed its routine inspection on November 6 with an adjusted score of 27 and six critical violations. The violations included a shared tong for different types of fish, the hand sink being blocked, dead clams sitting out for sale and food being stored at improper temperatures. The store passed its re-inspection on November 16 with an adjusted score of 93 and zero critical violations. The gas station failed its routine inspection on March 20 with an adjusted score of 30 and five critical violations. The violations included tongs for the hot dog roller not being washed, the hand sink being blocked, the cleaning sanitizer being too concentrated, insect spray being stored next to the hand sink and an unlabeled cleaning chemical stored next to drink lids. The store passed its re-inspection on April 17 with an adjusted score of 67 and two critical violations. The Mexican restaurant failed its routine inspection on January 30 with an adjusted score of 35 and six critical violations. The violations included an employee wiping hands on a common towel attached to his belt, food not being marked for seven-day use, improper storage of insect spray and food being stored at improper temperatures. The restaurant passed its re-inspection on February 1 with an adjusted score of 96 and zero critical violations. The restaurant failed its routine inspection on March 26 with an adjusted score of 32 and six critical violations. The violations included live cockroaches crawling out of the blade of the vegetable slicer, an employee with a gloved hand wiping their hand on a damp cloth and resuming food preparations, employee beverages being stored above food preparation areas, food not being labeled for seven-day use, chlorine concentration being too high and food being stored at improper temperatures. As of April 24, the restaurant had not been re-inspected. The Mexican restaurant failed its routine inspection on February 26 with an adjusted score of 34 and six critical violations. The violations included the restaurant not following proper procedure for preparing salsa, several employee drinks being stored on the prep table and rice, cheese sauce and chicken being stored at improper temperatures. The restaurant passed its re-inspection on March 26 with an adjusted score of 69 and two critical violations. The bar failed its routine inspection on October 11 with an adjusted score of 30 and three critical violations. The violations included food not being labeled for seven-day use, the food being used beyond its seven-day use date and the establishment being unable to prove that employees trained in food service sanitation are present in the facility during all food handling hours. The bar passed its reinspection on November 7 with an adjusted score of 64 and one critical violation. The Chinese restaurant failed its routine inspection on October 5 with an adjusted score of 16 and four critical violations. The violations included the back door being propped open with the air curtain being turned off, food being stored at improper temperatures and employee beverages being placed in the food preparation area. The restaurant passed its re-inspection on October 13 with an adjusted score of 77 and zero critical violations. The restaurant failed its routine inspection on October 5 with an adjusted score of 31 and four critical violations. The violations included sauces being stored at too high of temperatures, too high of chlorine concentration in wiping cloths, a food sanitation manager not being present in the facility and friend chicken being improperly stored. However, the restaurant again failed its routine inspection on March 22 with an adjusted score of 16 and seven critical violations. The violations included an employees not washing their hands between tasks, food being stored at improper temperatures, chlorine concentration being too high, open cans of sterno-type fuel being stored next to food and silverware and mold in an open package of shredded mozzarella. The restaurant failed its routine inspection on March 6 with an adjusted score of 33 and five critical violations. The violations included the women’s restroom not providing hot water, a hand sink being blocked, food being stored at improper temperatures and food not being marked for seven-day use. The restaurant passed its re-inspection on April 6 with an adjusted score of 62 and three critical violations. The restaurant failed its routine inspection on October 17 with an adjusted score of 33 and six critical violations. The violations included the women’s restroom not providing hot water, an open “Red Bull” being stored in the walk-in cooler above a tub of parsley, meat and sauce being stored at improper temperatures and food not being labeled for seven-day use. The restaurant passed its re-inspection on October 31 with an adjusted score of 92 and zero critical violations. The restaurant failed its routine inspection on November 6 with an adjusted score of 7 and six critical violations. The violations included a certified food protection manager not being present, a chemical spray bottle being stored with food items, the back door not self-closing, the dish machine being condemned, the hand sinks being blocked and food being stored at improper temperatures. ‘friend chicken being improperly stored’… A most fowl friendship, indeed.